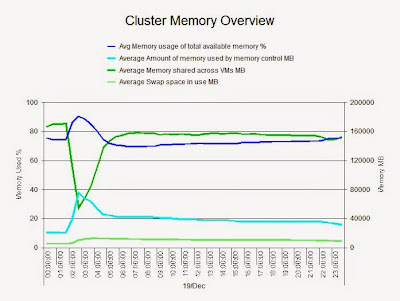 As I mentioned on Monday the next place to look at for memory issues is at the Cluster. 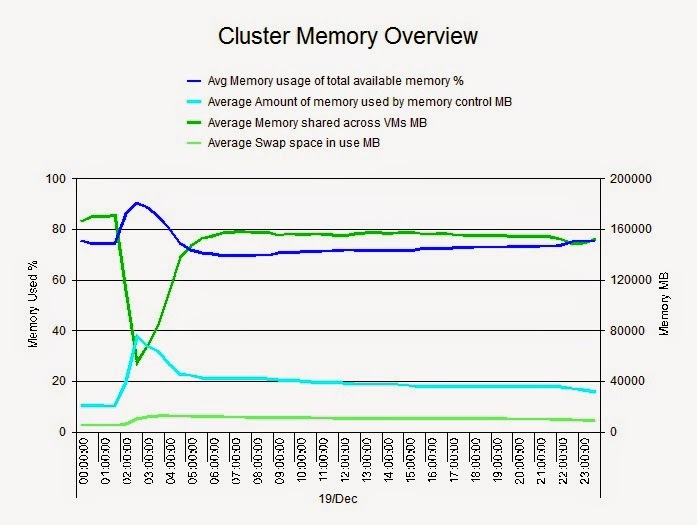 In the graph below we can see that when the shared memory drops the individual memory usage increases. In addition to that swapping and memory control increased at the same time. If it isn’t memory that people are talking to us about then it's storage and that's what we'll take a look at on Friday.